Dollars into Sense: Let's "rent it out"! With reports of the housing market still in decline and an economic recovery still in limbo, what used to be a renter’s market is quickly turning in favor of the landlord. The days of renters negotiating on not only rent, but also on deposits and paid utilities are slowly becoming a thing of the past. Vacancy rates are currently at 7.8%, down from an all-time high of 8.8% last year. It may sound like a small shift but it’s enough to give landlords more confidence to stick to their terms and stand their ground. With one more month left on my lease, I have decided to go back to apartment living. As much as I and my furry four -legged family love the privacy of a house and enjoy having a backyard, the monthly savings between rent and utilities are simply too much to ignore. With this being my second move in only one year, I thought I would share some strategies that I have learned along the way that may cut your bill and hedge against future bumps. Signing a longer -term lease almost always ensures lower monthly rent and makes you much more of an attractive renter for landlords. Because the landlord has your tenancy secured for a longer period of time, you are also less likely to get outrageous rent hikes at the end of your lease. Research the market and the neighborhood. Location, location, location is a rule that not only applies to purchasing real estate, it holds true to renting as well. Pick a few areas that appeal to you and contact any friends or family that live in the same area or close to it, ask them how much they pay and how they like living there. Think about what is most important to you. Are you willing to sacrifice square footage for location or vice versa? Don’t be scared off by rent alone. If a landlord stands firm on the monthly rent, look at other avenues in which you can meet in the middle. According to Rent.com 44% of landlords say they are willing to reduce security deposits and 22% would offer upgrades to more desirable units. Other points of negotiation include covering more utilities within the rent; waiving pet security deposits or getting preferred parking spaces or extra storage. When meeting a landlord for the first time, pretend like you are going on a job interview. The way you present yourself can be a determining factor on whether or not you get the place you want. Besides your credit score, landlords need to feel like they can trust you. Most landlords have done this many times before and have developed an innate sense when it comes to sizing up potential tenants. There’s nothing wrong with hardball negotiating, but keep in mind you and your future landlord will have to “get along” for at least a year. It never hurts to ask for a better rate. When I first found my place I was able to negotiate my rent down by $100 a month. When I decided I was leaving I asked my landlord if he would be willing to lower my rent even further, since I have never been late on my rent, he offered to lower my rent by an additional $150 a month, which unfortunately was still not enough for me to stay. Just remember the worst that can happen is that the landlord says “no”. Thanks Jen! You have plenty of experience on this as well! These are all amazing tips. Sure these strategies will help those who are planning to rent an apartment. Thank you for stopping by Rain and thank you for your comment. Thanks a lot for the tips. 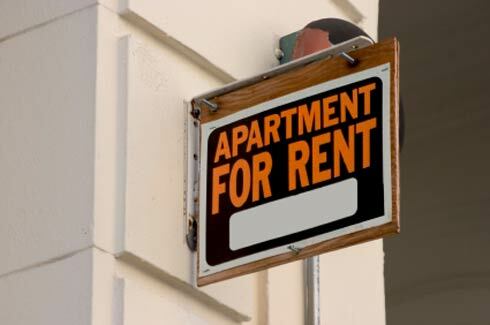 If you plan to rent an apartment, you should definitely consider following these tips. Thanks for stopping by Dale! Thank you for stopping by and for the great compliments! Our family is already sick of the fact that we have to pay taxes and rent apartments. “Giving college the third degree”. Live each day to its fullest.